The Friends of Sidmouth Parish Church was formed in 1958. 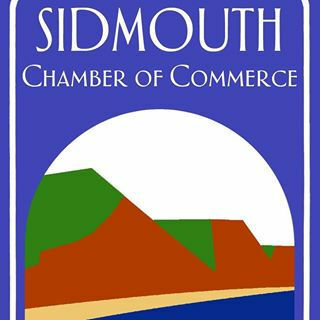 On 5th May 1958 a coffee party was given by Lady Olive Fleming at Church House, (now Kennaway House) to launch the Friends of Sidmouth Parish Church, at which pamphlets listing the aims of the Friends were distributed and members were enrolled. Lady Fleming served as Chairman of the Friends committee for 22 years. The Friend’s purpose remains as an organisation to stimulate the interest of all those who love the Parish Church, to welcome the stranger and to care for the fabric and adornments of the Church. Moreover, we seek to bind together all who love the Parish Church and desire to play their part, however small, in preserving it for future generations. It is an independent registered Charity (registration 258735). During the past 60 years the Friends have made significant financial grants to the Church Council to support its work, which of course includes personal donations and legacies. 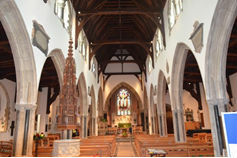 Maintenance and restoration of a medieval building is never-ending and in the last 10 years the Friends have contributed £60000 to major works which have included the extensive reordering and renovation of the building in 2009, the extending of the building in 2015 with increased facilities for the differently abled, as well as the repair and restoration of the stained glass including the Queen Victoria window in 2016. 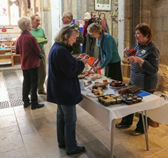 Events held during the year include the Friends Coffee mornings held in church usually on the first Saturday of each month from 10.00am; the annual Friends Luncheon, the Friends outing and a visit to Exeter Cathedral for the Advent Carol Service by Candlelight. The Annual Meeting is held in May and the chairman’s newsletter is circulated twice yearly. 2018 was the 60th anniversary of the Friends which was marked by a service led by the Bishop of Exeter followed by an anniversary lunch attended by Civic leaders and Friends.